HomeLifestyleHigh blood pressure: Can tooth loss in older women lead to hypertension? A new study has found that there might be a link between tooth loss and hypertension in women who have hit menopause. The study suggested that these women were at a higher risk of developing high blood pressure because of periodontal disease. Over 30,000 post-menopausal women were surveyed for this study and were followed from initial periodontal assessment in 1998 through 2015. It was found that menopausal women had a 20% higher risk of developing hypertension through periodontal disease as compared to other women. And this association was stronger in younger women and especially in those with lower BMI. 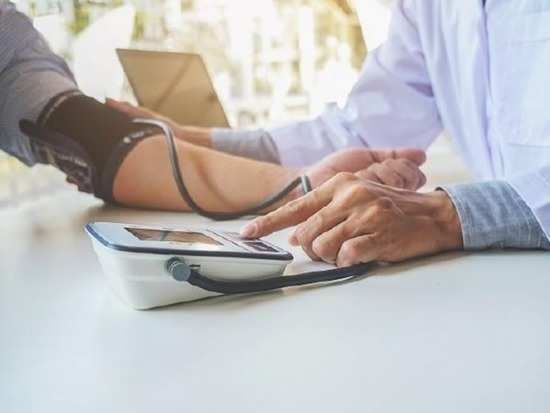 "These findings suggest tooth loss may be an important factor in the development of hypertension," said the paper's senior author, Jean Wactawski-Wende. "Further research may help us to determine the underlying mechanisms by which these two common diseases are associated." The researchers also said that taking preventive measures like closer blood pressure monitoring, dietary modification, physical activity, and weight loss may help reduce the risk of hypertension in women with tooth loss. Stay tuned for more updates. 1High blood pressure: Can tooth loss in older women lead to hypertension? 2Can depression be treated by stimulating one brain area? 5Is alcohol the solution to weight loss in adults with diabetes?